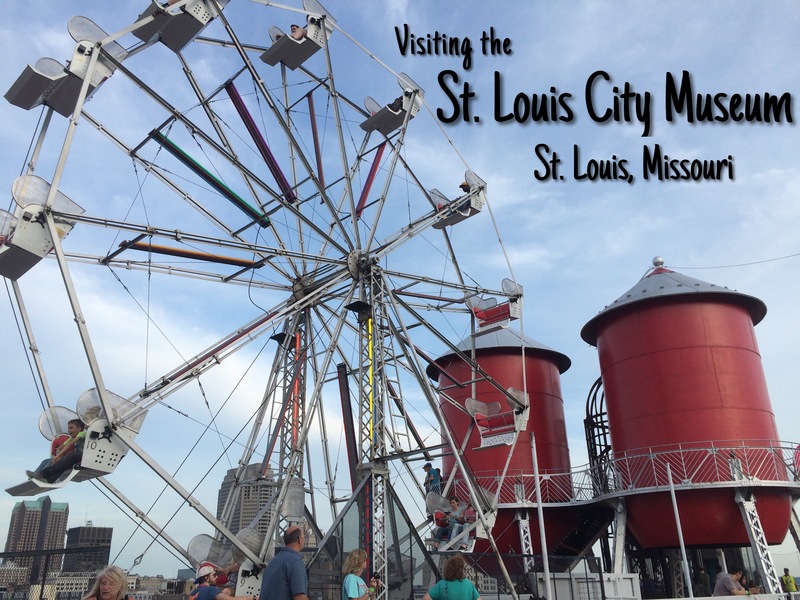 On our first night in St.Louis we headed over to the St. Louis City Museum! Don’t let the name fool you, this is not your typical museum. I can think of no better way to describe it than a giant 10 story playground in the middle of the city. When paying for admission, you can get a ticket for just part of the museum or you can spend a few extra bucks to get access to the roof, which I highly recommend. With our all-access tickets in hand, the roof was our first stop! We rode up the to the roof on the elevator then started to explore and enjoy the city views. The roof has many exciting features the first being a school bus that hangs over the edge of the building. You can go on and hop into the drivers seat, you can even open the front door to see the ground below! Next we climbed up a dome like structure to get even higher onto the roof. Being a little afraid of heights, it was so nerve wracking! Make sure to secure all of your belongings because there is not much stopping them from falling a few stories! We realized later that there were actually stairs to get to the top layer of the roof if you aren’t feeling particularly adventuress. On this highest level you can ride the 30 foot ferris wheel for some more beautiful views of the city. The roof also includes plenty of slides and jungle gyms for kids and kids at heart, and there is a full bar for adults! The most fun way to get from the roof back to the bottom floors is by taking the 10 story slide! The City Museum was converted from an old Shoe Factory to what it is today, but what some people don’t know is there are actually apartments on the floors that aren’t occupied by City Museum exhibits. The interior of the City Museum is divided into various themed areas and as you explore, you never know where you’ll end up next! The best part about the interior was that around every corner there were new caves and passages to discover. There was an underwater themed area with giant whale sculptures and even live fish in the aquarium exhibits. There was a jungle area with metal trees to climb, a cave area with endless caverns to explore, a skate park to run up and down ramps, and even a human sized hamster wheel! The last area that was very unique to the City Museum was a small circus area, where Circus Harmony, a nonprofit social circus organization, holds classes for all ages at the City Museum. Their students put on shows for tips at various times throughout the day. The show we saw was a guy doing super cool juggling and balancing tricks! We heard that sometimes the performances include multiple students doing aerobatic performances. Before we left we went back up to the roof for a nighttime view of the city. We decided to go in the evening since there were discounted tickets if you arrived after 5pm on a Friday or Saturday. Although we only spent a few hours here, we definitely didn’t see all of the things the museum has to offer. With endless energy we could’ve spent the entire day climbing and exploring! This entry was posted in Missouri, USA and tagged Amusement Park, City Museum, Missouri, Museum, Schmahl World, St Louis, travel, United States, USA. Bookmark the permalink. It was so fun! Hopefully we make it back to explore St Louis some more soon!